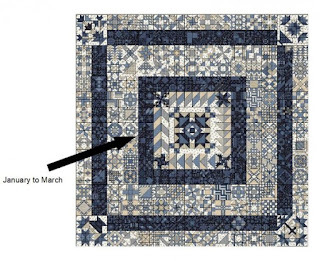 is anyone doing the 365 challenge quilt? could it be all the blues? yeah I am a nutcase for sure. how easy are 3 strips sewn into a 3 inch rail block? a great way to hone your skills! I CERTAINLY have all the blue fabrics I need! wouldnt it be great in other colors too? how many days are there in March? and how many hours is that? is anyone else as crazy as me???? This didn't appeal to me at all - and I do tiny. Some blocks just don't do well worked this small and will drive you nuts. And think of all those seams to try and quilt thru! 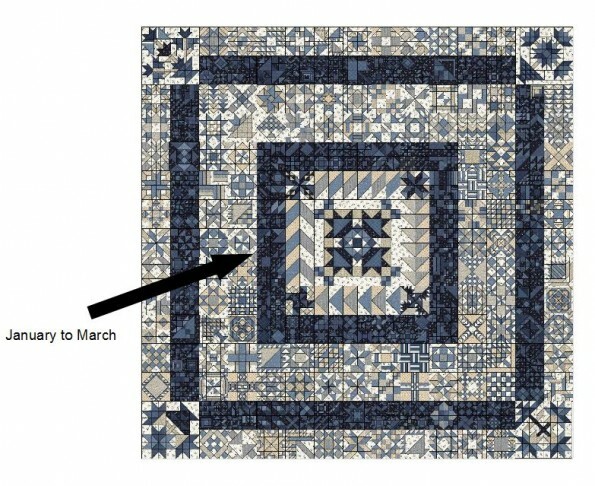 I think it is a pretty quilt, and I will admit that I have been saving the patterns,but I am probably not going to do the quilt. I agree with Sharon too many small parts which are getting more intricate. is it Thanksgiving or Easter? what the heck is zakka? what do you do with small scraps you ask?